About this product. Dr. Eric Berg recommends MSM for Rosacea. WHAT IS OptiMSM? MSM (methylsulfonylmethane) is an organic sulfur compound found in fruits and vegetables. Biologically active sulfur is one of the most critical nutrients for our bodies to remain youthful and energetic. 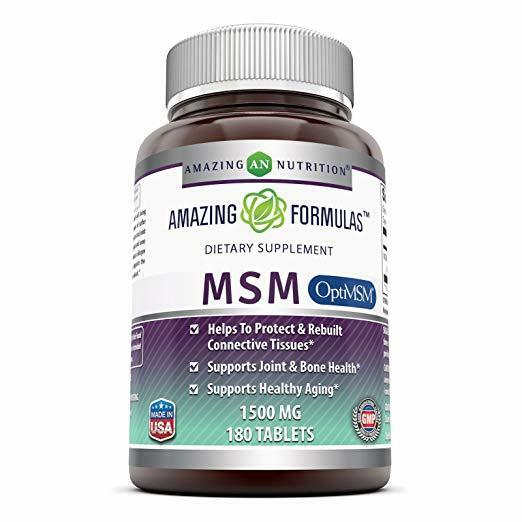 THERAPEUTIC DOSAGE We strive to make supplementation easy, every tablet of this Amazing Formulas dietary supplement provides an optimum dosage of 1500 mg. It is an often recommended dosage to reap all the benefits of MSM. All Amazing Formulas  products are manufactured in accordance with Good Manufacturing Practices (GMP), among the highest standards in the world.